Stillwater, Oklahoma is known as America’s friendliest college town but after last weekend I would say this gorgeous little town has earned a new title of one of the best places to visit during the holidays. My family and I had the pleasure of calling Stillwater home for 3 amazing days. 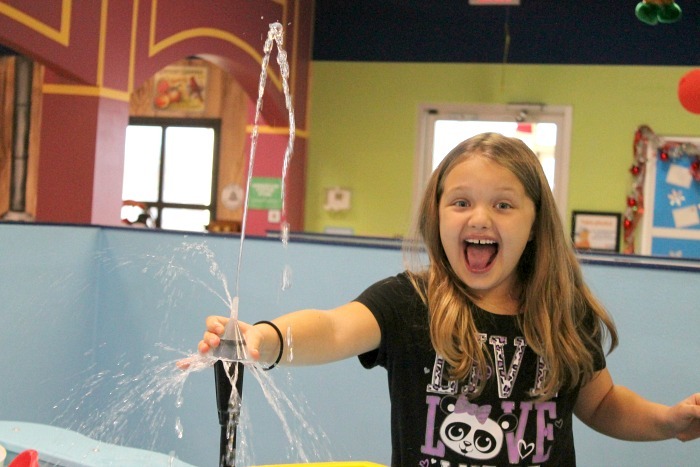 These 3 days were filled with lot’s of fun family friendly holiday activities that kept everyone entertained and creating memories that will last a lifetime. So there are several reasons why Stillwater is one best places to visit during the holidays. There is so much going on throughout the month of December and activities that are perfect for any age. I had the chance to experience a Stillwater Holiday this past week and here are just a few of my favorite activities. 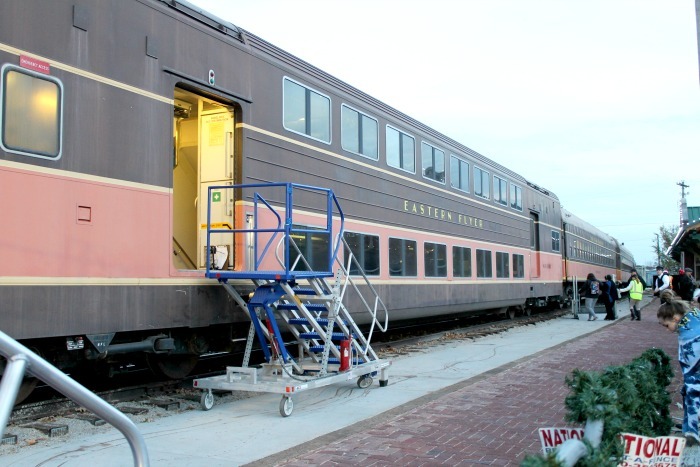 If you only get the chance to do one thing this holiday season, I would highly recommend the Polar Express Stillwater Train experience. 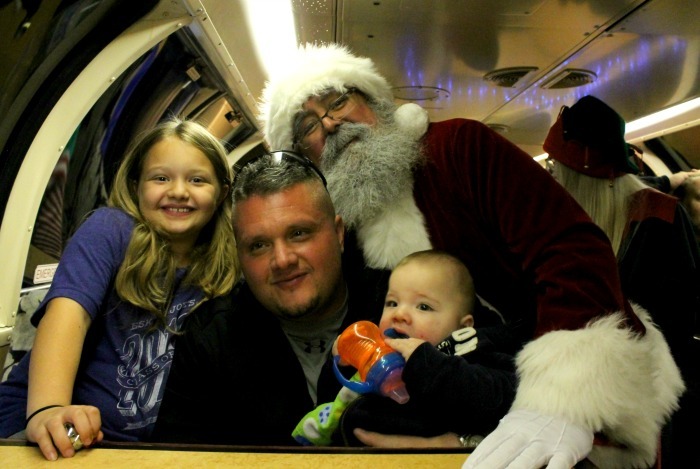 This is a family friendly train ride that takes you on a ride to the North Pole. During your trip you will have the chance to sing some of your favorite songs from The Polar Express movie like the Polar Express Hot Chocolate Song. Of course hot cocoa and freshly baked cookies will be served as well. You’ll also pass through the North Pole and get a chance to visit Santa as he boards the train and gives each child their own personal Christmas bell keepsake. It’s a fantastic experience for the whole family. 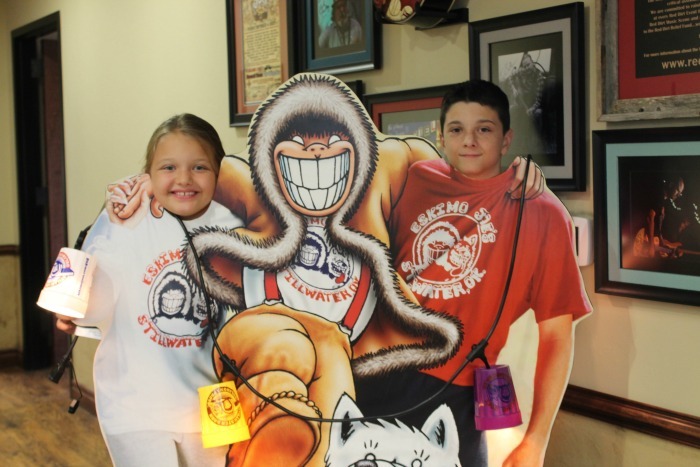 And don’t forget to stop by Eskimo Joe’s to pick up some matching PJ’s for the whole family to wear during your ride! 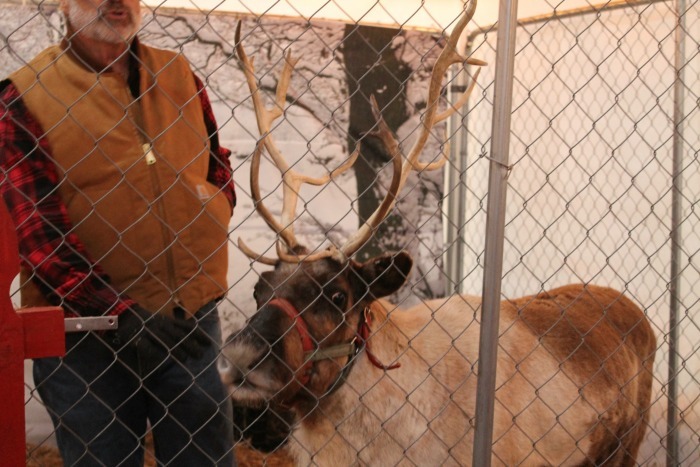 Before you board the Polar Express make sure you take the time to stop by and see the REAL LIVE REINDEER. I feel silly saying this but I had no idea that Reindeer were really a thing, but they are and they are super cute. 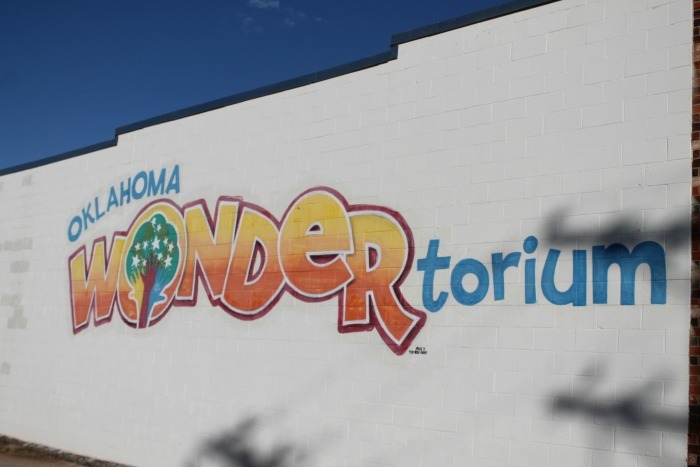 My family and I have actually visited the Oklahoma WONDERtorium a few times during summer break, but never at Christmas time. The WONDERtorium is really a great place to visit year round, but I would highly recommend a visit during the month of December. On certain days they have fun holiday themed crafts that your kids will love to make. During our time at the museum we made a science project/craft that was fun for even my oldest son Jeremy who is 12. 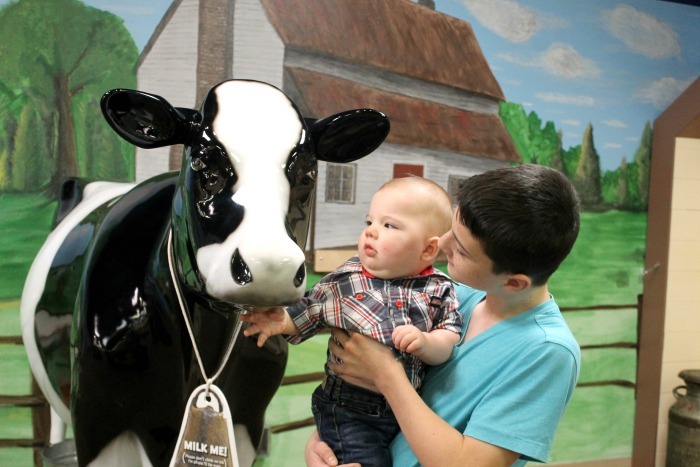 Of course the highlight of the museum is all the different exhibits that are great for kids of all ages. 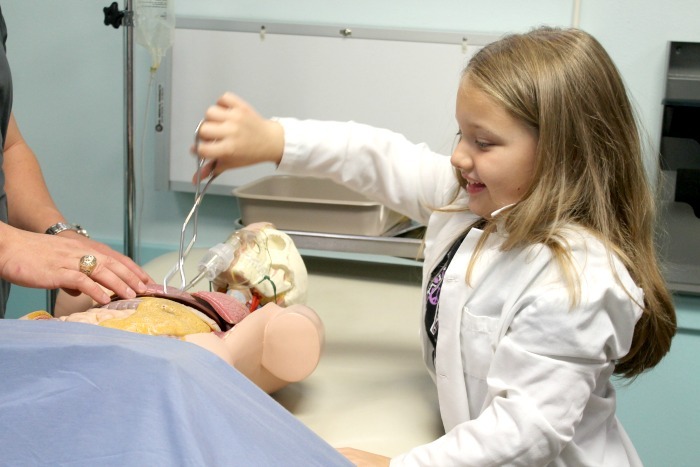 At the Oklahoma Wondertorium your child will have the chance to perform surgery on a patient. 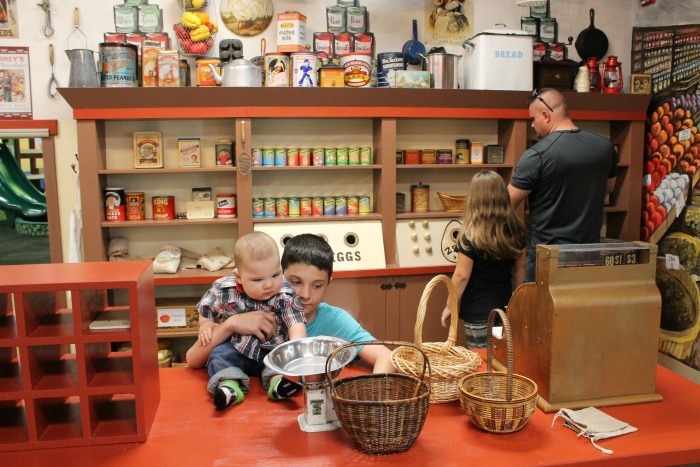 Shop, checkout or stock the old time market. Explore all the things that water can and will do when you plug it up! My daughter LOVED this! And they can even try their hand at milking a cow. 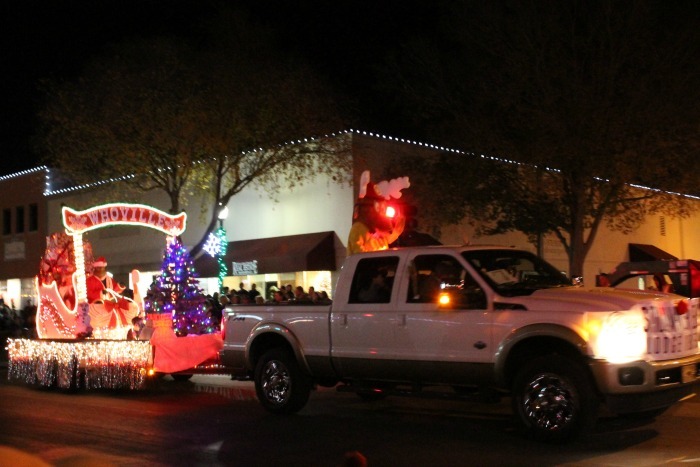 I have been to a lot of Christmas parades in my lifetime but I have to say that the Stillwater Oklahoma Christmas Parade of Lights was one of the best. It seemed like the whole town came out to see the floats and everyone was just as friendly as they could be. All of the kids were able to sit along the street and catch candy as they watched their favorite floats go past them. There were lot’s of food options available at the parade and even a place to get hot chocolate and kettle corn. 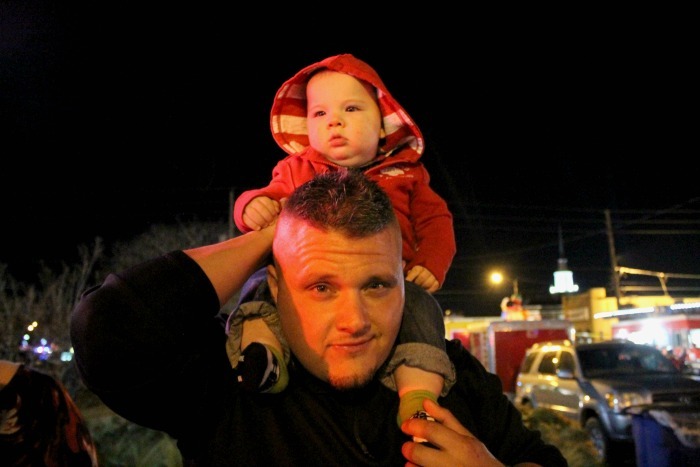 This was Caleb’s first Christmas parade and he was fascinated by all the lights and sounds. I think his favorite was probably the huge OSU bus with Santa popping out the top. 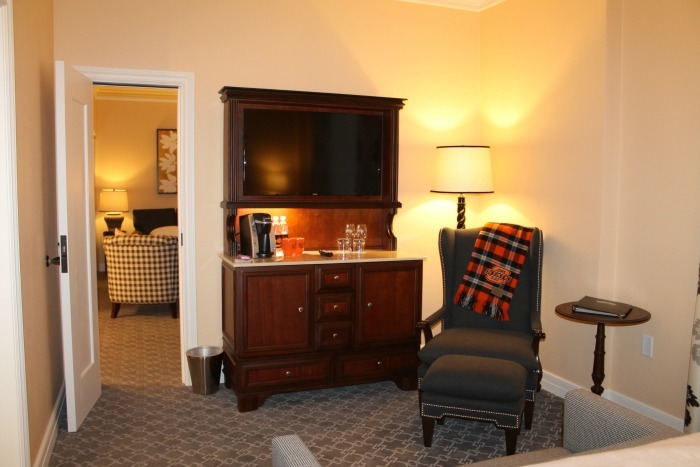 So now that you have all of your activities planned during your time in Stillwater, it’s time to figure out where to stay in Stillwater. 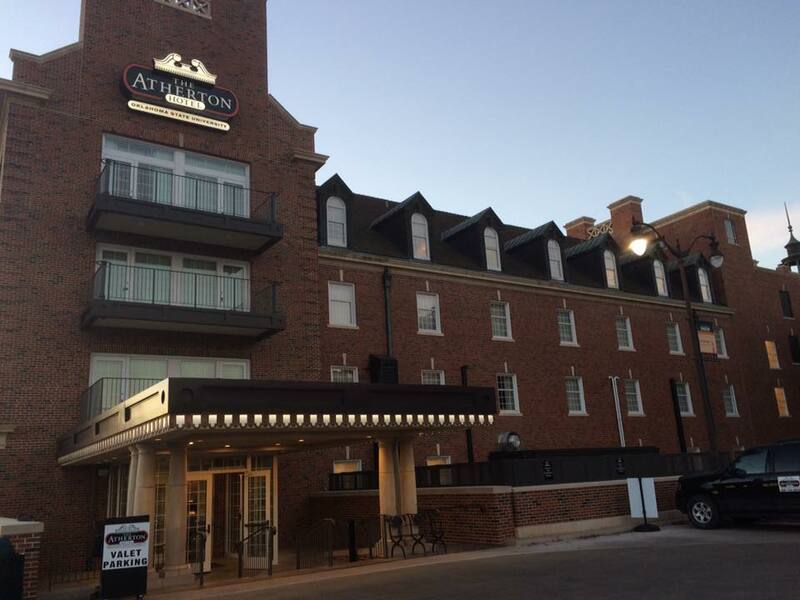 There are several different hotels to choose from in Stillwater, but one of my favorites has got to be the Atherton Hotel Located on the Oklahoma State University campus. 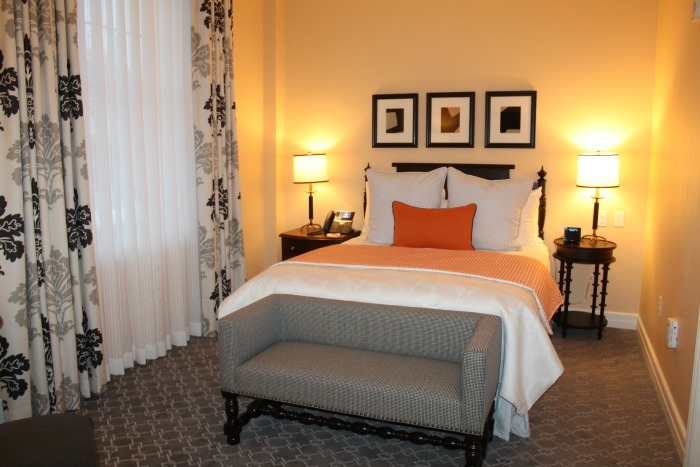 This hotel has just recently been renovated but still has that comfy at home feeling. My family and I were lucky enough to get to stay in one of the suites at the hotel. 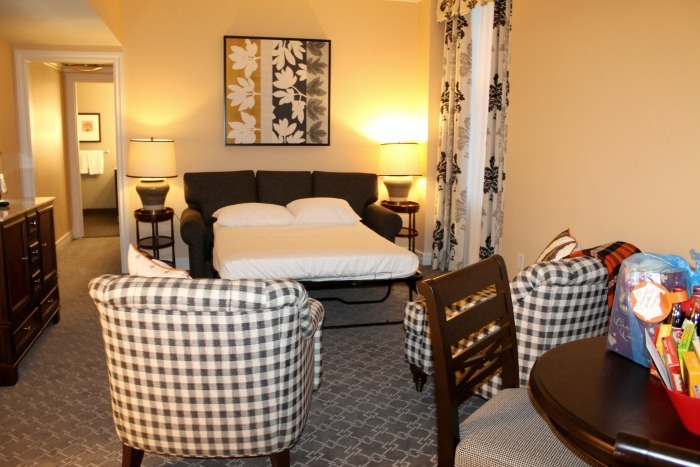 Our suite had an adjoining room separated by an open living room area, which also has a pull out sofa for extra sleeping room. Included in your stay is the complimentary breakfast buffet each morning which serves things like french toast, eggs, cereal, fresh fruit and of course coffee. Our family and I had a wonderful time visiting Stillwater during the holiday season. This is such a fun, friendly town with so much going on, especially during the holidays. 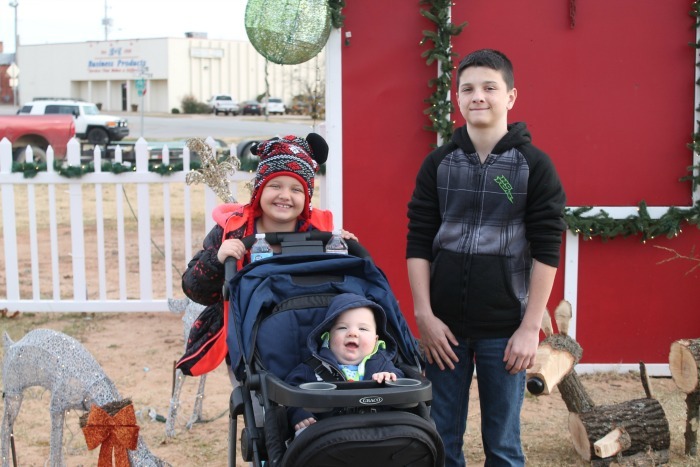 If you’re looking for the best places to visit during the holidays with your family then I would suggest Stillwater during the holidays! 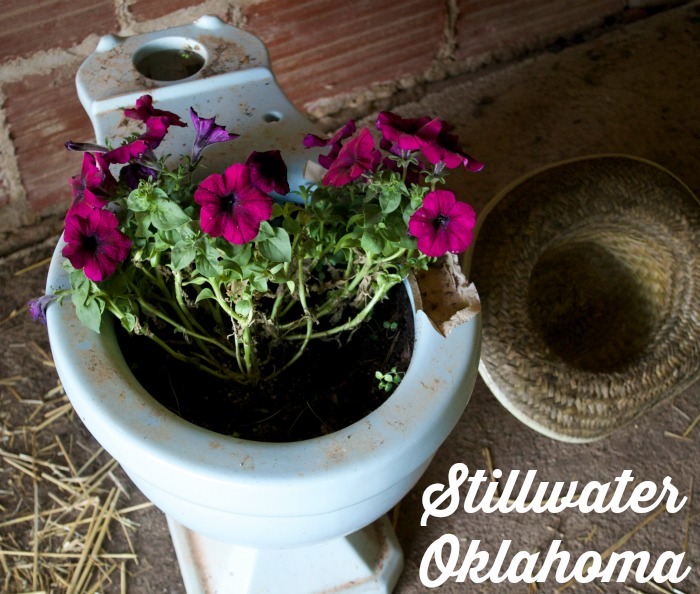 If you’re visiting Stillwater during the Spring/Summer months make sure to check out my post on the Stillwater Oklahoma Calf Fry Festival!